My work for Hobby Tech this month involved rather more soldering than is usual, in order to assemble the parts required for reviews of the Boldport Club’s Ligemdio and Touchy kits and the Dark Control Raspberry Pi motor control boards – though, at least, the final review of the freshly-launched Debian+Pixel Linux distribution was free of fumes. First, the Boldport Club. I’ve reviewed one of Saar Drimer’s impressively artistic circuit kits before, back in November 2015, but where you used to have to camp out on the Boldport website to pick up the latest small-production-run kit there’s a new option: monthly subscription. Members of the Boldport Club get a series of parcels, typically but not always including a kit featuring a Saar-designed printed circuit board but almost always being aimed more at the experienced engineer than the absolute beginner. For a flavour of what Boldport Club members can expect, Saar sent over two kits: the Touchy, a touch-sensitive microcontroller dedicated to the memory of maker Oliver Coles, and the Ligemdio, a handy-dandy USB-powered LED tester. The latter proved far simpler to build than the former: anyone used to beginner through-hole kits would undeniably find the surface mount components on the Touchy a challenge, but therein lies its attraction. The soldering on the Dark Control boards, by contrast, was considerably less tricky. Created by the Dark Water Foundation and funded via Kickstarter, the Dark Control boards – one for DC motors and the other for ESC motors – are impressive beasts. Designed to mimic the footprint of the diminutive Raspberry Pi Zero, the boards include the ability to run a minimum of six independent motors, include room for a nine-degree sensor add-on, and can be linked to remote control hardware for network-free control of everything from submarines to aerial drones. Finally, Debian+Pixel is Raspbian for the masses. 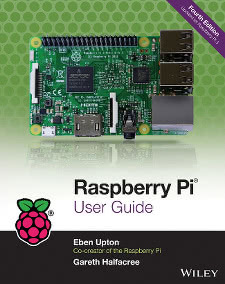 Like Raspbian, Debian+Pixel is built on top of Debian Linux; like Raspbian, Debian+Pixel uses the Pixel desktop environment; like Raspbian, Debian+Pixel includes a selection of educational software chosen by the Raspberry Pi community. Unlike Raspbian, though, Debian+Pixel runs on almost any x86 PC – meaning you don’t need a Raspberry Pi. 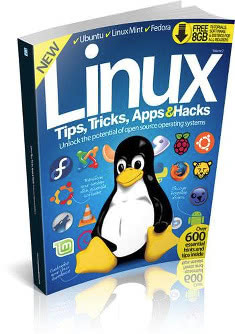 The software is, as you’d expect from a distribution based on one of the oldest Linux variants around, stable. The Pixel interface looks the same whether you’re running on a Pi or a traditional PC, and only the speed at which programs open and run gives it away. Sadly, there are one or two omissions largely as a result of licensing agreements: the handy Wolfram Alpha application is nowhere to be found, as is the extremely buggy Minecraft Pi Edition that saw one release back in 2013 before being abandoned by the now Microsoft-owned Mojang. For the full run-down of all these shiny things, plus a whole bunch of other stuff written by people who aren’t me, you can pick up the latest Custom PC magazine in your nearest supermarket, newsagent, or electronically via Zinio and similar digital distribution platforms.